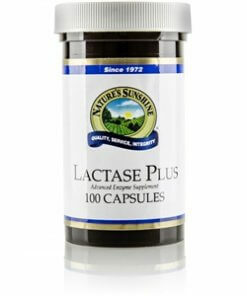 Nature’s Sunshine Lactase Plus provides essential enzymes to assist in breaking down dairy products for digestion. Individuals who have difficulty digesting milk sugar and milk protein will find this blend of lactase and protease enzymes a valuable digestive supplement. Lipase is added to lactase and protease to provide relief from digestive discomfort such as bloating or gas. 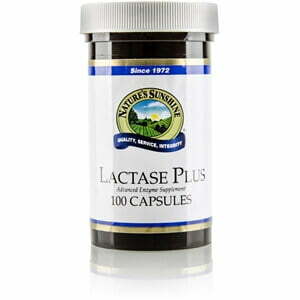 Lactase Plus helps soothe and relax the digestive system. Instructions: Take one or two capsules up to 3 times daily before consuming foods and bevergages containing lactose. Potassium citrate, gelatin and water.